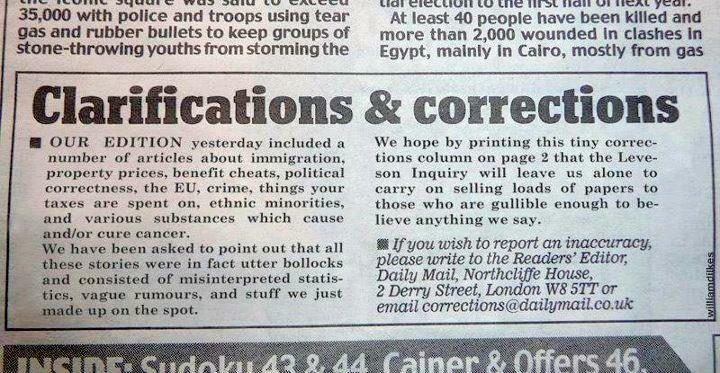 Daily Mail "Clarifications & corrections" Best Post? It was actually December 2011, but is one of my favourites. Hat tip Rupa. 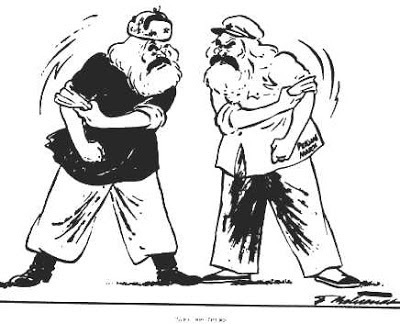 Since this is the season of goodwill to all I checked out the Socialist Unity website to see the latest brother and sisterhood back stabbing, infighting, petty point scoring, abuse and general hatred. I was not disappointed. The reader comments are just amazing. I must admit to wondering why Andy has picked on the AWL? Who in my perhaps limited contact so far, have not appeared to be as narrow and dogmatic as the other various Heinz 57 Trotskyite/Anarchist sects? However, I think that this is actually all just a bit of a red herring (no pun intended). Since surely all of the “ultra left” are by definition going to be in some form of a cult since they all profess to be “revolutionaries”. If you think the world is so horrible you need revolutionary change, then you are going to have to have some sort of tight discipline and control to try and bring it about? The real problem is not that they are “cults” or that they are “revolutionaries”. Good luck to them if that is what they believe (dare I say, it’s a free country!). The real problem is that they think that by their actions they can bring about “the Revolution” in this country sometime soon. How on earth can anyone honestly think there any practical likelihood of there being any sort of a revolution in this country? Now, I want radical change in our society. But all my adult life I have seen articles and posters advertising meetings that proclaim the “great day of the revolution” is just around the corner. What complete and utter rubbish. The idea that if the unions were just more militant, organised more demos, occupied some phone box and took more strike action, then the masses would come to their senses and storm Buckingham Place is just fantasy and indulgent politics. There was more chance of the Mayan prophesies happening. Since 2007 there has been an open goal due to the economic crisis and there is not the slightest interest whatsoever in revolutionary class politics. This is not about the “politics”. I am a fully paid up believer in reformism, parliamentary democracy, rule of law, equality in all aspects, strong trade unions and a genuine mixed economy. Yet I will work with anyone who may completely disagree with me in the long run but will sees the sense in unity to bring about common and achievable immediate goals. There cannot in my view be any unity with those who think that their primary purpose is to bring about something (the Great Day) that is silly, ridiculous and laughable. Everything they do is driven by this obsession. So we cannot trust them nor their many and competing “Fronts”. We also cannot work with those who will do what they are told by their central committees regardless of what they believe in or were elected to do. My father believed that communism in this country was inevitable, but he thought it would not happen in his lifetime nor for many generations. In the meanwhile he would support the Labour Party and work with others such as the Communist Party of the time, in the interests of working class people. While they and others may believe in revolution, they are realistic about the prospects and will not sell out the interests of working people to satisfy nonsensical dogma. Just thinking of some of my highlights of the Olympic 2012 year. I first saw this excellent poster in the window of the North Wales Credit Union branch in Denbigh. Check out their press release on the Christmas rip off here. It shows up what thieves Payday loan companies are and how they exploit the poor and vulnerable. You would pay over 4000% APR interest on a 38 day £400 loan from Wonga or 26.8% APR from a credit union loan over a year. If you paid the £400 off over a year then you would still pay over £100 less in interest than with Wonga in 38 days. Good luck to Stella Creasy MP and her #Sharkstoppers campaign. "Pensions will not exist by 2050"
It seems that the Daily Telegraph has a silly season in December as well as August (some would argue it actually lasts 12 months). Michael Johnson, a research fellow at the Centre for Policy Studies is quoted here as warning that private pensions will soon cease to exist since young people see having immediate access to money more important than long term retirement plans. I need to check with Michael that he has not been misquoted since the Telegraph has been writing some complete hysterical drivel about pensions lately. The reasoning is also a bit odd and Michael is usually pretty "bang on" about private pensions (not public sector pensions). Young people have always wanted ready access to their money and been reluctant to save for your retirement. That is why you and your employer need incentives to join a pension and (like taxes) for it to be made compulsory. Also young (and older) people are not being completely stupid about not saving for their pensions. This is because for many the pension they are currently offered or have access to is just completely rubbish. They are being ripped off for a hugely expensive product that offers them no certainty in retirement. While I think everyone should save for their pensions I can understand why so many make the understandable (and even rational?) choice not to save. Auto-enrolment and universal pensions will make a difference. But unless people have the confidence to invest in a product that gives them some sort of guarantee of financial security in their old age then I think many won't bother. This future burden on the taxpayer should be the key issue for the Telegraph. I suspect that Michael is being polemic in order to bring attention to a real serious problem. Yet his reported solution is wrong. Saving in a short term ISA is not the answer but an affordable and sustainable defined benefit scheme for the private sector is. It is also going to have to be compulsory (at some stage). Unless we sort this out I suspect we will soon be seeing future articles glamorising the workhouse for pensioners. 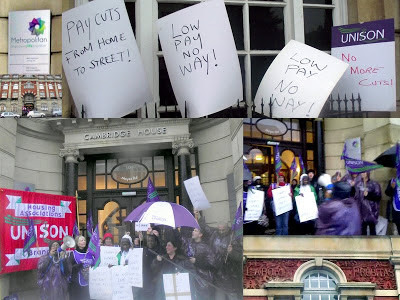 UNISON Housing Association Branch and London Regional Banner are in the opening sequences. A great video of a great 2012 day. Off message-ish but I thought I would share my picture of the early bronze age stone circle, Maeni Hirion. It was taken on a marvellous pathfinder guide walk on Sunday in Penmaenmawr, North Wales. The far edge of the Snowdonian National Park overlooking the sea. Nowadays you may have driven past Penmaenmawr in minutes while along the A55 on route to Anglesey or Ireland. In the past it use to be a popular seaside resort. A favourite with William Gladstone. This stone circle is better known as the "Druids Circle" yet it was built a 1000 years before the Druids first came to the area with Iron Age invaders. Sunday was only a few days after the winter solstice. You would imagine in the past that the midst of winter and the shortest day, would have been an important time of the year for those who built it. It is a breathtakingly beautiful and peaceful site even if the wind whips red raw any skin you foolishly expose to the elements. Check out the balanced and thoughtful (as ever) Jack of Kent post on the origins of Christmas here. It may seem just a little churlish on Christmas Eve to try and take anything away from this very worthy article by the Archbishop of York, Dr John Sentamu, on the “imperative for a Living Wage”. This is also at a time that it seems likely that in the public sector at least, the Living Wage will become a reality for all directly employed and contracted staff. Yet I think it falls on me to be a bit of a Bah! Humbug! Christmas misery guts on the issue. While anything that increases the amount of money being put in the purses and pockets of the low paid should be welcomed, it will not get rid of the evil of low pay and poverty. The Living Wage level is set right on the poverty line. There is no element for any saving. Nothing to put aside for being sick or for when you retire. So if you do become ill while at work and there is no sickness pay you will go straight back into poverty and be dependent upon the taxpayer. The same thing will happen when you retire. With no company pension you will retire and die in poverty. Again, being dependent on the State. What we need is a Living Wage “plus”. A Living Wage, a Living Sickness benefit and a Living Pension in the public and private sector. The best way to delivery this is by strong trade unions and binding national/sectorial pay agreements. In the last depression in the 1930’s we had a Tory government introducing such “Wages boards”. Like their modern day counterparts, this was not so much any wish to get workers out of grinding poverty but unlike this lot, they realised that to get the country out of doldrums you had to increase demand. The best way of doing this is to increase the pay of the low paid who will spend any increase (and not give tax cuts to millionaires who will just save it). A Living Wage in the public sector would (if it happens) be a huge advance but can only be a first step. Hat tip to my best ever Newham comrade Stroppy! I’ve been meaning to comment on this post made by my esteemed UNISON colleague, the NEC member for Skidrow-on-Sea, attacking an unnamed UNISON branch secretary (and as usual interfering in the internal democracy of other branches and Service Groups). He selectively criticises the branch secretary for sending out an email to all staff warning them of attempts by the SWP and the SP to hijack their campaign to defend public services. However, he fails to mention or quote that part of the email that states the reason why it was sent out. Which was due to the violence, abuse and thuggery shown by various outsiders in a “hate fuelled frenzy”. This and threats to patients safety is actively undermining the campaign and putting off potential supporters . It's the old story of "rule or ruin" by "wreaking and splitting". Ordered by the so called democratic centralist leadership of the various ultra left sects (not by all their rank and file members) if they cannot get their own way. This is not the way to oppose Austerity nor win anything. Considering that my esteemed colleague publicly derides anyone who disagrees with him as a "poodle of the ruling classes" it is just hypocritical of him to criticise anyone else as being in any way sectarian. I also note that the hard working and respected branch secretary he is having a go at started life as a porter in a hospital, who then put himself through night school to eventually become a fully qualified nurse. Who still works shifts as a nurse on the wards. Unlike the full time middle class bureaucrat who snipes at him from afar. UPDATE: I have been reminded how the Ultra left got up to similar tricks and destroyed any chance of forming a broad anti-austerity coalition in Local Government in 2011. Off message-ish. 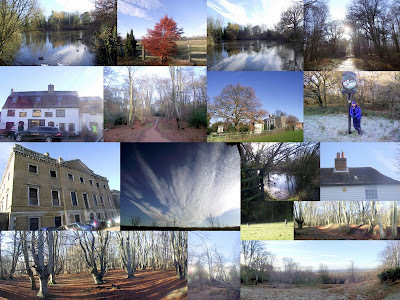 Collage from recent pathfinder walk in Bromley, London. 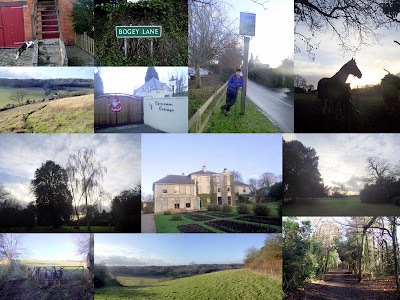 A really fantastic 8 mile, rolling up and down walk with glorious views. You cannot believe that you are so close to central London and within the M25. Highlight of the walk was a visit to Down House, which was the home for 40 years of Charles Darwin. He wrote here his famous "Origin of the Species by Natural Selection" in 1859. He use to enjoy walking in the countryside around his home while contemplating his theories. Click here to sign the petition to H&M, Gap and Walmart for them to join a fire safety programme and fix their ""death trap factories" in Bangladesh. 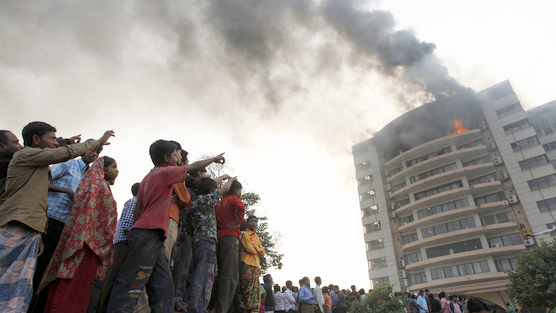 I posted on the "True Price of Cheap Fashion: 120 burnt or jumped to death at Bangladesh Textile Factory Fire" here on 1 December. Following a recent London UNISON Pension network meeting I am drawing up questions that Local Government Pension Scheme (LGPS) member nominated trustees should be asking their fund advisers and managers about what they are doing to make sure that the companies we invest in do not pay dividends in blood money. Ordinary UNISON members can also ask these questions of their schemes? I will post them as soon as I can. (Guest post by London UNISON activist and Regional Labour Link Committee member Sanchia Alasia ). "Trade unions have a strong and ever growing important role to play in the European Union. 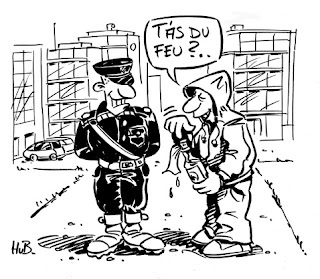 Many European countries are currently bearing the brunt of harsh austerity measures, high youth unemployment and threats to employment rights, which trade unions need to stand up and fight against. Take the UK for instance. The chancellor George Osborne announced at the Conservative Party conference this year that workers could gain shares within companies in exchange of valuable employment rights such as unfair dismissal, redundancy and the right to request flexible working and time off for training. A few pounds in shares is not worth works giving up hard won employment rights by won by our trade unions. If for example you received £2,000 in shares and they increased by 100% you would still only have £4,000 but could be sacked tomorrow. The ideology of the Tory led government is to denigrate the trade unions as they regularly do in the House of Commons and make light of employment protections that workers are entitled to. The shocking thing is that companies will be able to force this on new recruits if they choose from April 2013, which is only a few months away. My trade union, UNISON currently has a fantastic campaign about the living wage, which is an hourly rate set independently every year. It is calculated according to the cost of living and gives the minimum pay rate required for a worker to provide their family with the essentials of life. In London the 2012/2013 Greater London Authority rate is £8.55 per hour and outside of London the current rate is £7.45. This campaign by UNISON, spurred me to work with one of my fellow councillors at Barking and Dagenham council, Josie Channer, who is the chair of the living and working select committee to ensure that low paid council workers have been given the living wage. The European Trade Union Confederation (ETUC) is an organisation that has a united voice on behalf of the common interests of workers, at the European level. It represents 85 trade union organisations in 36 European countries. The Trades Union Congress (TUC) based in the UK is a member of the ETUC. The TUC is the voice of Britain at work with 54 affiliated unions (including my union UNISON), representing 6.2 million working people from all walks of life. They campaign for a fair deal at work and for social justice at home and abroad as well as negotiating in Europe. It is important that the TUC continues to work alongside the ETUC to promote full employment, social protection, equal opportunities, good quality jobs, social inclusion, and an open and democratic policy-making process that involves citizens fully in the decisions that affect them across the European Union. It is only through workers’ consultation, collective bargaining, social dialogue and good working conditions that innovation, productivity, competitiveness and growth in Europe will thrive". This picture collage is from the rain soaked, somewhat soggy but very lively protest outside the HQ of Metropolitan Housing Trust (MHT) on Friday lunchtime. Staff in MHT care and support arm are facing pay cuts of up to 40%, other cuts in terms and conditions and massive redundancies in parts of the Group such as in Derby. These staff provide services to vulnerable clients up and down the country. Physical disability, mental health, homelessness, drug & alcohol abuse and the elderly. Some now face earning the same headline wage that they started on - 15 years ago. As you can imagine, like all of us, staff have mortgage and rent commitments based on their current salaries and face losing their homes if their pay is reduced in this way. MHG want to reduce the pay of their staff to that below the living wage. They also want to employ part time staff so that these staff can top up their poverty wages with family credit and housing benefit. Which of course means that the taxpayer has to pay to top up these poverty wages, not only while these workers are at work but also when they become sick or retire. Labour Leader, Ed Miliband has recently spoke about making all public sector employers pay a "Living Wage" to all their directly and indirectly paid staff. He has also asked the question why taxpayers spend huge amounts of public money subsidising bad employers who pay their worker poverty wages. I'm not the greatest fan of the BBC series "Young Apprentice" but it has made me look again at this indenture document (left) signed on "The 7th February 1910" by my Grandfather (or Taid in Welsh, as I called him when I was a young boy) Frederick John Matthews, his father Frederick James Matthews and Uskside Engineering & Rivet Company Ltd, Urkside Iron Works, Newport, Mon (South Wales). 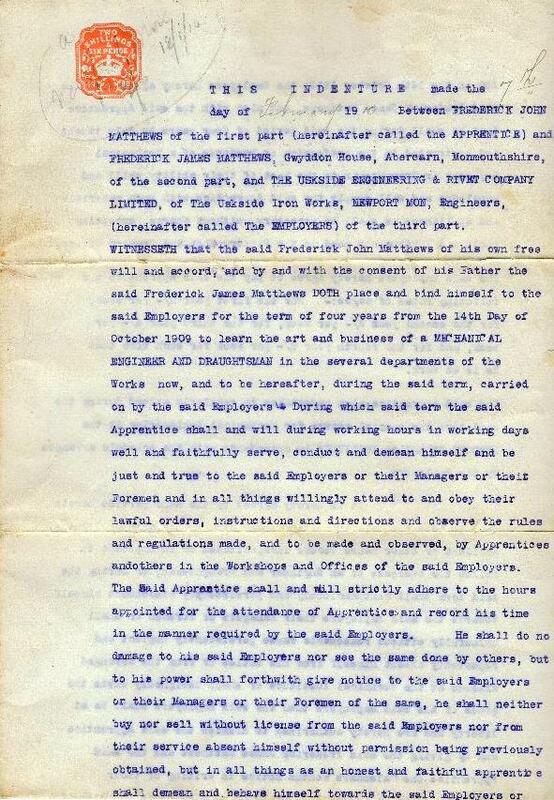 This was a legal document which cost 2 Shillings and six pence in stamp duty. Click to bring up details. Taid was bound to the Steel works as an apprentice "mechanical engineer and draughtsman" for 4 years at the age of 16. He had to undertake to "faithfully serve, conduct and demean himself...an honest and faithful apprentice" He had 14 days holiday per year but his father had to pay the employers £200 for the life of the indenture (£50 every year - a fortune in those days). Offset by wages of 2/- per week for the first year rising to 6/- for the 4th. If for whatever reason he got into trouble at work there should be an independent panel of "two respectable and competent persons" one chosen by Taid's father and the other by the Steel works. There would be a umpire if they could not agree on what to do. This concept is of course unrecognisable in modern day employment relations. 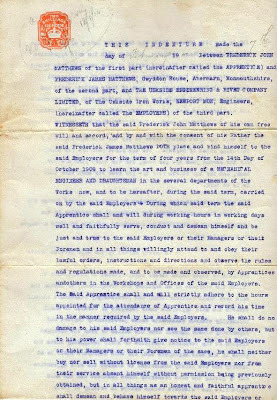 The Indenture also has a hand written amendment that he left his apprentice on 2 September 1914 to join the Army. The First World War had started less than a month before. I have posted before on his service in Gallipio and France while with the Royal Naval Division. He won the Military Cross in 1917. It records that he returned to Usk on demobilisation on 20 January 1919 and finally left on 8 July 1919. I am still not sure whether he completed his apprentice or not. I suspect not. He was on active service for practically the entire War. His experiences marked him for life, not always for the good. By coincidence his great grandson Matthew, has recently been selected to be a trainee ROV technician on North Sea Oil and Gas rigs. While his Dad (my brother in law) has not been asked to cough up the modern equivalent of £200, I doubt his employment protection will be in any way as good as that given to my Taid. Newham's own £1 Fish Man for Xmas Number 1! Good luck to the East Ham Queens Market musical fish monger Muhammad Shahid Nazir and his bid to become Christmas Number One in the charts. To put that in perspective, he is twice as likely as Justin Bieber to take the top spot and four times as likely as Sir Cliff Richard.”. 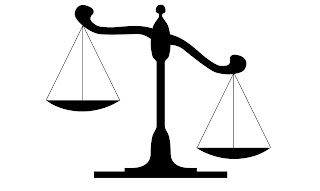 Today I read a case summary in Daniel Barnett's employment law e-newsletter about a recent Employment Appeal tribunal judgement, where it was agreed that a claimant who had been dismissed had been treated very harshly but since it was not "perverse" it was not unlawful. You would have thought that was the whole point of making a claim for unfair dismissal? While I am not sure the source of this quotation I think this sums up much of what is wrong with tribunals and shows up the unrealistic expectations that many (most?) workers have over their rights at work. Not only has this Tory lead coalition government been rolling back employment rights all over the place (extended waiting period for unfair dismissal from 1 to 2 years, getting rid of lay judges, introducing upfront fees etc) but workers need to understand that tribunals are not about truth and justice. They do a lot of good things still (such as with discrimination) and act as a brake but they are not the "Peoples Courts" they are not an independent arbitrator of fairness in the workplace. Instead its all about contracts and processes. In 2005/6 only 18% of claims were successful in a full hearing and the median award in 2012 was under £5000. That is why you need trade unions at work. Collective is best. Below is a press release from our branch about tomorrow's protest against poverty pay. 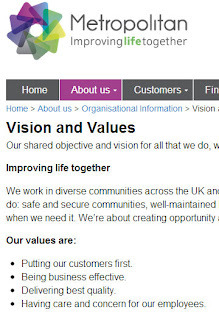 As you can see from the screenshot to your left that Metropolitan "Vision and Values" includes "having care and concern for employees". 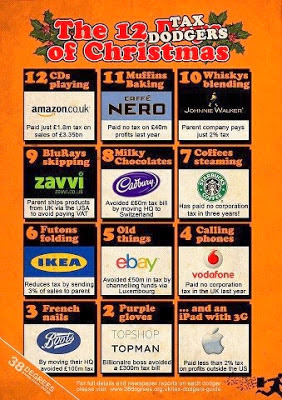 How they can square these visions and values with paying staff poverty pay and taking on part time workers so they can cheat the taxpayer is beyond me? 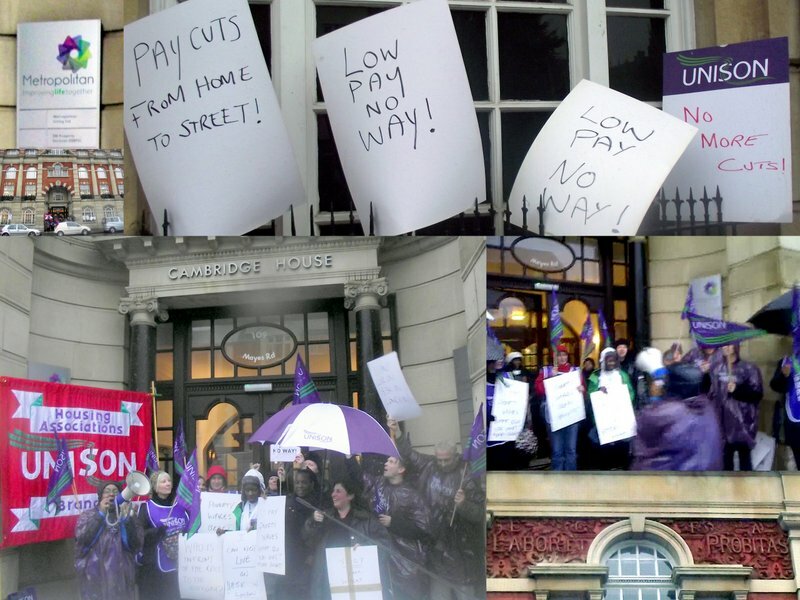 "UNISON members in Metropolitan Housing Association (MHA) are planning to hold a mass lunchtime protest outside the organisation’s London headquarters at Cambridge House, in Wood Green on Friday 14th December. The protest is in response to a lack of progress in current consultation meetings on proposed changes to the terms and conditions of staff members who are employed as Care and Support Workers. Implementation of the new proposals by MHA will result in the reduction of staff salaries by 40%, the introduction of “flexible” contracts, and the implementation of pay rates below the London Living Wage. MHA has already begun advertising for Support Workers at the new (low) pay scales. Anecdotal reports from within the organisation suggest attempts to recruit staff on these terms have been costly and inefficient, as posts have to be re-advertised 2 or 3 times. UNISON Regional Organiser, Colin Inniss, stated: “it seems that Metropolitan Housing Association are determined to tarnish their fine reputation for high quality service delivery by paying a significant number of their dedicated Care and Support staff poverty pay. That is shameful”. UNISON Housing Associations Branch Secretary, John Gray added: “It appears front line staff are being asked to pay the price for the lack of competent leadership within Metropolitan. Inflicting poverty pay on others while those at the top collect bumper wages reeks of hypocrisy and is unfair”. 1. Metropolitan manages 36,000 homes and provides housing and other services to 80,000 customers. In 2011/12 it made an operating surplus of £65.4M on a turnover of 244M. 2. Metropolitan’s London office is located at Cambridge House 109 Mayes Road Wood Green London N22 6UR. 3. Brian Johnson, formerly of Moat, has recently been appointed chief executive of Metropolitan. 4. UNISON’s Housing Association Branch represents 3,500 members in the Greater London Region and the South East. The London Living Wage is designed to help people towards a minimum acceptable quality of life in our capital. It is calculated by the Greater London Authority and is currently £8.55. I know following the riots last year in the UK we have nothing to be smug about. Yet I honestly do dread the impact on our society of this Tory led Coalition housing policies. This motion has been passed by my branch and submitted to our UNISON London AGM next year. 1. that the housing policies of the Tory led Coalition government is leading to the cleansing of ordinary working people from London and other areas of high rents across the Country. 2. This process was started by a local area housing allowance benefit cap which deliberately ignored actual rent levels. While the imposition of a total benefit cap will finish the cleansing. 3. Families and communities will be split as people have to move hundreds of miles across the country to find cheap private sector accommodation. Soon there will be concentrations of poverty and deprivation in suburbs that circle middle class city enclaves as they do in the divisive and polarised “Banlieues” that are a blight and a disgrace upon Paris. 4. This will not just affect the sick and the unemployed but also the working poor who rely on Housing Benefit to top up their poverty wages. 5. Due to the absolute shortage of social housing, rents for everyone in the private sector are becoming more and more unaffordable while overcrowding and insecurity of tenure increases. 6. There are now more UNISON members who live in the private rented sector than in social housing. Many members have grown up children living with them who are unable to afford to leave home due to high housing costs. 7. The underlying reason for this housing crisis is the failure of the market and successive governments to ensure a sufficient supply of low cost public and private housing. Instead of investing in building homes, housing benefit has been squandered on subsiding high rents. Often going into the hands of criminal Rachman landlords. 8. At the same time that we have massive under capacity and unemployment amongst construction and development workers. 1. A mass housing investment programme. Building new, refurbishing and retro-cladding older homes. Paid for in the short term by increases in progressive taxes and in the long term by reductions in housing benefit and the Keynesian multiplier effect of an increase in the government finances from building workers paying taxes rather than claiming benefits. 2. The compulsory Licensing and regulation of all landlords, social and private - and strict enforcement of minimum environmental, management and repair standards. Rents levels for all regardless of tenure must be fair and reasonable to tenants and landlords. 3. In the meanwhile local housing allowances and benefit caps should reflect the reality of living in high rent areas. 4. Calls on Labour Link to consider advocating such policies on a regional and national level. Great video by those who do and those who serve. Picture is of me as Chair of UNISON London Region Labour Link presenting retiring committee member, Alan Griffiths, with a bottle of House of Commons Whiskey! Alan who is also a Newham Councillor, has been a long serving member of the Committee for many years and will be missed. At the committee meeting we also had a presentation by former London MEP, Carole Tongue, on "the Euro elections 2014 and the positive case for Europe". There was a lively Q&A afterwards and almost an consensus, that there is a positive narrative about Europe (amidst lots of real problems) that we should make and not let the the bigoted right set the agenda. Committee member Sanchia Alaisa (2nd from right), who works in FE and is a Councillor in Barking and Dagenham, is standing to be a Euro MEP candidate in 2014. Check out her web site here. London Assembly member Joanne McCartney gave her GLA report next. This was dominated by the devastating Police and Fire brigade cuts that London Mayor Boris is about to implement despite his manifesto promises to protect emergency services. The highlight of the meeting was of course the last business item, as Alan Griffiths, gave a swan song Powerpoint presentation on the retrofitting of Solar Power Panels on south facing roofs of houses in Walthamstow Council estates. Which is still a worthwhile idea to look at despite Tory Coalition tariff cuts. His motto "Every South facing roof could still be a power station". This walk is from yesterday and is one of my favourites Essex tramps. The weather was actually much brighter than the dark and moody picture suggests. I last did the walk on boxing day in 2010 when there was beautiful blue skies, snow and ice. I slipped then in the ice without any harm and did the same yesterday. This time however I landed in a large puddle of very soggy Essex mud and clay. Which led to some strange looks on the way home when stopping off at Waitrose. Towards the end of the walk there was a Grouse shooting party. A line of men with shotguns standing alongside the public path were shooting at birds being driven from the woods by beaters. To my surprise they missed a number of birds that they fired at who were flying low and fast overhead. Yet there was a trailer full of dead birds (see picture on Facebook). I asked one of the shooters if they ate or sold the birds. He said he did eat them, after leaving them a week to decay and improve the flavour. However, he did not pluck them himself, there was "on old boy in the village" who did it for him. You could hear the sound of gunfire from all directions for much of the walk. The season I believe finishes tomorrow. While I have never hunted and killed anything in my life, it would be I think rather hypocritical of me to cast any doubt on those who do, when I was happily seeking supermarket Welsh lamb joints a few hours later. 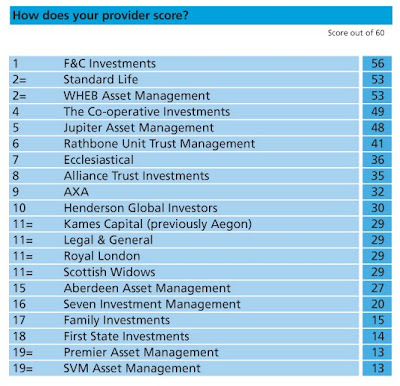 Fair Pensions have issued their latest rankings of "ethical" fund managers. Which to be absolutely frank is deeply disturbing. Especially since many fund managers who claim to be ethical would be appearing to act in a completely irresponsible and unresponsive manner? 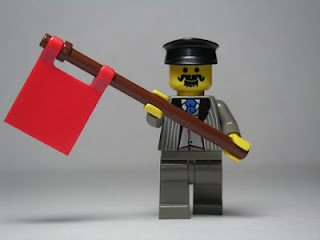 How on earth can only 11% of fund managers screen out child labour? Does that mean that the other 89% think its a good idea kids don't go to school and spend their formative years in sweat shops? Why do so called ethical fund managers refuse to respond to such surveys? What on earth do they have to hide? What is going on? 2/3 of funds that claim to to ethical do not even engage with the companies they own? Some of fund managers who performed badly (to be polite) are employed by pension funds that I am a trustee on. I will look forward to some interesting conversations in the future with them on this subject. Chris Bryant MP & "Rhondda tricky questions"
In my neighbouring borough Walthamstow, the local Labour Party is holding a fund raising pub quiz with Rhondda's MP Chris Bryant MP on 12 December 2012. 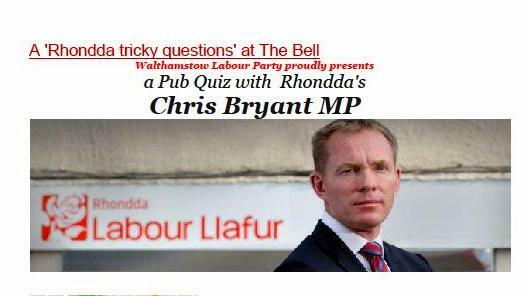 Pity I have Housing Scrutiny that night. Hat tip "I support Public Services - don't let the Con Dems destroy them"
Update: Starbucks agrees to pay more tax. Better late than never I suppose. Public anger has driven this. Now lets drive this anger against Amazon and all the rest of the thieves. Looks like I may have to leave blogger! "Discount rate consultation decision could be a lifeline for DB schemes says the AMNT"
The Association of Member Nominated Trustees (AMNT) has expressed its full backing of the decision of the Department for Work and Pensions to move forward with a consultation on discount rate smoothing, announced in yesterday’s statement by Chancellor George Osborne. Janice Turner, co-chair of AMNT, said: “This has been one of the key campaigns run by the AMNT throughout the two years of its existence and is what long-suffering DB pension scheme trustees have been desperate to hear. The prolonged recession has left trustees and employers facing unprecedented circumstances with deficits so volatile that countless DB schemes have closed and, in some cases, even toppled their sponsor company into closure. “It is very pleasing that Steve Webb has been the first Pensions Minister to grasp this particularly painful nettle, where others before would not. It is now important, however, that the process should not be dragged out as a stalling mechanism whilst more open DB schemes close. The AMNT will now be working very hard in the coming months to put forward and argue strongly for a responsible alternative to the current unworkable regulations. My take on this is that it is estimated that the introduction of smoothing and other measures proposed could improve the funding position of defined benefit pensions schemes by 20-30%. So it is inconceivable that any pension fund should carry on with any plans for closures until the enquiry is concluded. 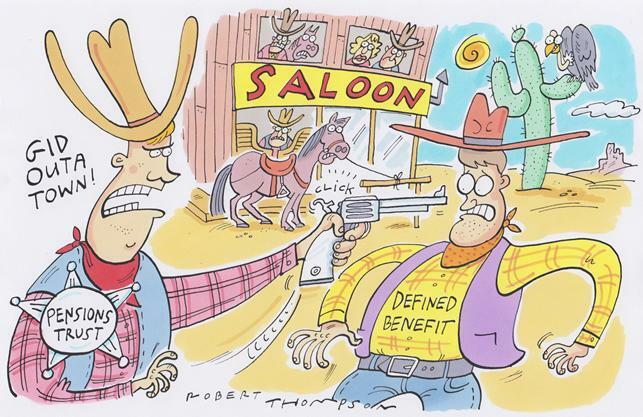 This cartoon is from Friday's "Inside Housing" Magazine about the £5 billion Pension Trust which is forcing out, for no good reason, many third sector employers from its defined benefit scheme, while pricing out others due to huge rises in contribution rates. While I am pleased that Inside Housing has led this debate in our sector and had a news article, analysis and editorial on this subject, it has hasn't quite got it right about some pretty important issues. 1. Why is the Pension Trust writing to employers threatening to force their their workers out of a decent pension scheme on the basis of discredited "mark to market" accounting measures? Why are they increasing contribution rates on this basis to such levels as to force even more schemes to close.? 2. Why is the Pension Trust not talking to the Pension Regulator about extending its deficit repayment period to take into account the 200 year abnormal gilt yields, which are making schemes seem to be in trouble, when they are clearly not? Other social pension funds have done so successfully, why hasn't the Pension Trust? 3. The Pension Minister Steve Webb MP himself has recognised "mark to market" is a nightmare which is killing perfectly good pensions schemes and has promised to do something about it. Why force schemes to close when change is likely to happen soon? 4. Why isn't the Pension Trust thinking about asking the highly paid to pay more? They already pay less than the low paid due to high rate tax relief? Why aren't they encouraging or looking into salary sacrifice, contribution "caps and shares", changes in retirement ages, hybrid schemes or investment fund merger? 5. 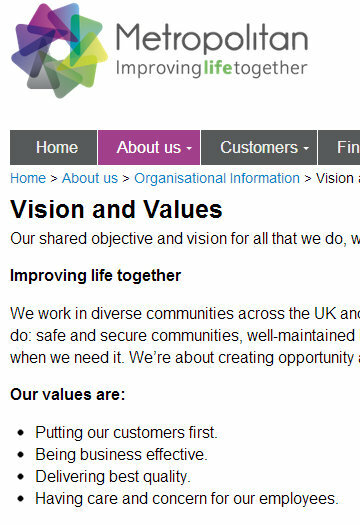 Was the Housing Charity "People Can" forced into administration by the Pension Trust, discredited pension accounting measures or Government cuts? What are the real reasons? Who is really to blame? 6. The Pension deficit is not "the result of poor returns on government bonds in which the scheme had invested heavily" (page 12). The problem is not investment returns it is the way you calculate the cost of pension promises (liabilities) which are currently based on government bond yields. This is absolutely crucial for people to understand. The deficit has increased in the last 3 years even though the scheme investments have increased in value. 7. What has changed? Have people suddenly started living longer in the last 3 years? No, the only thing that has changed is that gilt yields are at a 200 year low due to reasons completely unrelated to the real cost of a pension. 8. So "The Emperor has no clothes" the deficit is not real. So why close and force people out of decent pensions for no good reason? 9. It is a fact that closed schemes become more mature and are forced to have smaller and smaller levels of equities and more and more traditionally low return bonds and cash holding. While at the same time paying the same level of huge fees and commissions. 10. Closing schemes does not get rid of any deficits, in fact they can make things much worse. Off message: but a great 9 mile pathfinder walk today on my own doorstep in glorious winter sunshine. Click to bring up detail. TUC Pension Trustee 12: "Tools For Challenging Scheme Closures"
After the opening speeches at last weeks TUC Pension Trustee Conference 2012, I went to the "Tools for Challenging Scheme Closures" workshop led by Hilary Salt from First Actuarial & Neil Walsh, Pensions officer at Prospect. This workshop, is of course, right up my street. Decent defined benefit schemes are being closed down completely unnecessarily and being replaced usually with third rate, inadequate alternatives which will result in employees being dependant on the state when they retire and then dying in poverty. The first tool they described is a "tape measure". How you measure your pension liabilities? At the moment the tape measure used (the yield in Government loans called gilts) is broken. Due to Quantitative easing and the so called "flight to quality" from the weaker Eurozone countries, gilt yields in the UK are not only historically low but even negative. Pension liabilities may have increased during the last 12 months but nothing has really really changed. It is the broken tape measure. There are a number of things should be considered long before closure :- tiered contribution levels, changes in retirement age, CARE (career average) rather than Final Salary, reducing accruals, longevity adjustments, caps on salary, inflation measure, contract back into SSP, Cash balance schemes, hybrid DB/DC etc. Trustees should also consider the "Sledgehammer" approach of winding up schemes if closed. All schemes are different and trustees must refer to the trust rules and make sure they get truly independent advice. If contributions have to go up then time with any pay rises and consider salary sacrifice. CARE schemes are not only fairer but if risk is the real driver for the employer to close the scheme rather than cost then they will reduce salary risk. Consider risk sharing such as contribution caps. In the Q&A I asked about the argument that closing schemes did not get rid of the deficit and that they can make things worse. Hilary said that this can be true and that a closed defined benefit scheme can be as inefficient as defined contribution schemes. They become like annuities invested solely in gilts and cash. Hilary has recently written an excellent booklet for the TUC on "The Future of Defined Benefit Schemes" here. While the Association of Member Nominated Trustees (AMNT) will be producing their own guide on what to do if your employer tries to close your scheme on December 11 at our AGM. 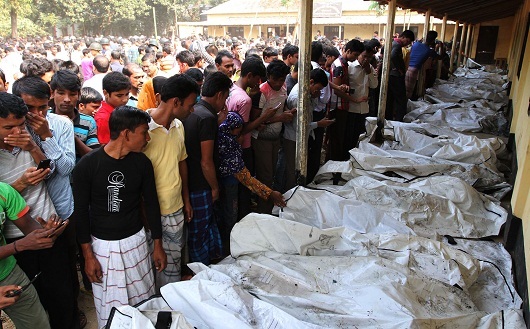 Check out TUC Owen Tudor post at Stronger Unions on the latest fire massacre at a Bangladesh textile factory. It is estimated that 120 workers are dead, many of them young women who died behind locked fire escapes while some even jumped to their deaths to avoid being burnt alive. Owen is completely right that the best way to protect these vulnerable and exploited workers are strong and independent trade unions. But this does not let British, European and USA companies which invest in such factories or source cheap clothes in Bangladesh to sell in the West off the hook. Nor pension or insurance companies who make money from these companies or to be frank the consumers who buy products without knowing the conditions that the human beings who sweated to make them endure. Have we all got blood on our hands? Tazreen Fashions who owns the factory apparently makes goods for "H&M, Walmart, Denim, Marks and Spencer, Carrefour, IKEA and others". It is alleged that it was widely known that this factory was unsafe but nothing was done. Next week there is a meeting of the UNISON London Pension network and I will be asking members to bring up this up with their fund managers. What are they doing to make sure that the companies we invest in make sure that such things cannot happen again? This is an investment as well as an ethical issue. Not only should pension funds (and pensioners) not want to prosper from investing in companies that kills its workers but there is now overwhelming evidence that companies that act responsibly produce superior long term financial returns. We need to make sure at a minimum that all the companies in the supply line we invest in recognise and support trade unions (Please note this also applies to all those UK organisations who disgracefully refuse to recognise and bargain with independent trade unions at home. What message are they sending?) but also that they make sure that act at all times responsibly. On Wednesday evening at the LAPFF conference I spoke to a Governance adviser for a leading fund manager, who told me that due to rising wages in China, mass textile production is moving to cheaper zones such as Bangladesh. So the problem is likely to get even worse. On Thursday evening at the LAPFF conference hotel there was a false fire alarm at 4am. While I am not for a moment comparing things with that at Tazeen Fashions, it did make me think at the time what I would do if I was trapped by raging fires and locked safety doors in my 3rd floor room. Unless we all do our bit as consumers and investors to demand effective change I have no doubt that I will be reporting on something equally horrific sometime soon.